The perfect gift for a groom on his big day. 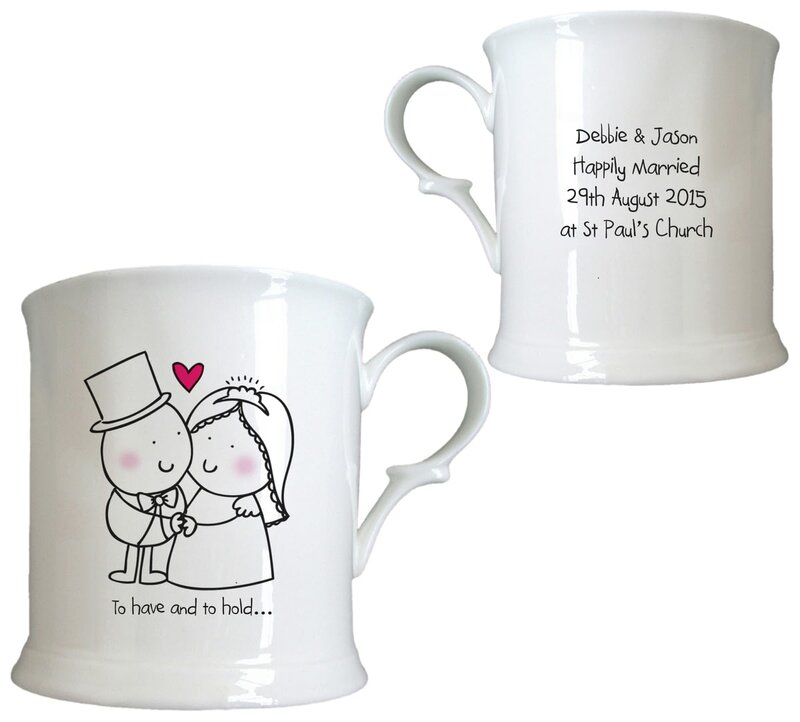 Whether you're giving is as his new wife or you're the father of the groom showing him how proud you are, this tankard with the cute bride and groom characters will help you to say what you want. Your message to the recipient is expertly personalised on the reverse. This stunning tankard can adorn the mantle of their new home and they're sure to think of you and their happy day whenever it's used. Cute yet macho - this gift will say thank you in a totally unique way. Your message is personalised on the reverse of our cheeky character who holds his own thank you sign. Encourage a cheeky drink to say goodbye in style. 'Time to put your feet up' has never been said more perfectly than with this bespoke tankard.